If you're unconvinced by active pen displays or want to add pen capabilities to your Windows or OS X desktop, your choices to date have been mostly limited to the Wacom Cintiq family of tablets. 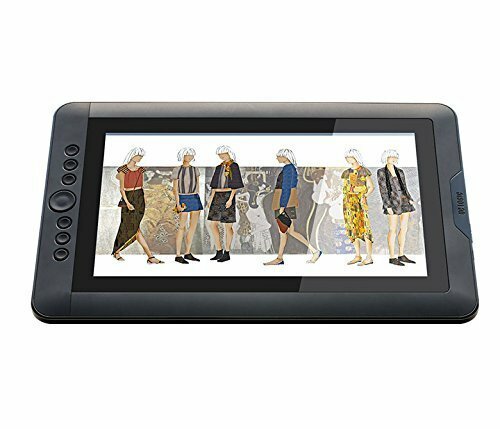 Although prices on Wacom devices like the Cintiq 13HD or Cintiq Companion 2 compare favorably to general purpose tablet PCs like the Surface Pro 4, VAIO Z Canvas or even the iPad Pro, Wacom's gear can still be out of reach for students and hobbyists. Enter Artisul (Art is Soul), a new consumer-facing subsidiary of UC Logic, the Taiwanese pen digitizer technology company. UC Logic's tech has previously powered budget pen displays from the likes of Yiynova and UGee, but after entering into and winning a patent dispute in China with rival Huion, the company decided to go to market with its own brand of pen displays. The company's first product, introduced late last year, is the Artisul D13, a well-crafted unit that compares very favorably to the Wacom Cintiq 13HD. And just like the Cintiq line, Artisul eschews batteries and active pens for its own flavor of electromagnetic resonance (EMR) stylus. Artisul provided a review unit for me to try out for the purpose of this review. I don't own and have never thoroughly tested a Cintiq 13HD, so my Wacom comparisons will be with the 13HD's cousin, the Cintiq Companion 2. Unlike the CC2, the Artisul D13 is not a standalone PC. It is a pen display meant to be used alongside a desktop or laptop PC or Mac. As with most EMR devices, the distance between the glass and display introduces a fair amount of parallax (or separation) between the pen tip and the on-screen cursor. Fortunately, I encountered no other EMR downsides like inaccurate corners or dead zones. And more importantly for many of you, drawing slow diagonal strokes does not exhibit the jitter apparent in most battery-powered pen solutions. Once the Windows drivers are properly installed and the D13 is calibrated, the pen performs extremely well, providing a very smooth transition between its 2048 pressure levels. The glass screen is covered by a matte finish that offers a bit of additional tooth or pen resistance but the 1920 x 1080 display is still noticeably brighter than on my Companion 2. The pen is supplied inside a very nice Wacom-like case with a generous supply of replacement nibs, although I wish that they were available in more than one material. They are slightly harder than the soft Wacom nibs I prefer. I'm not a fan of the nib extractor built into the case. I much prefer a standalone ring. Just like the Cintiq, the D13 features an array of 7 hardware buttons along the left side. These can be configured for each application and setups for Photoshop, Clip Studio Paint and others are included with the driver installation. The drivers were recently updated for OS X and a new Windows driver (which I wasn't able to test) is now in beta. The existing Windows drivers are very full-featured and graphical, offering controls reminiscent of Wacom's Feel driver. The Artisul stand 051 is sold separately for $46. I found it much easier to set up and use than the Cintiq Companion 2 stand, although it doesn't offer sufficient resistance at all but the lowest drawing angles. An unexpected benefit of the stand is that it works well with the latest crop of 12.5 - 13 inch tablets like the Surface Pro 4, Surface Book clipboard and the iPad Pro. All of these devices are too wide to rest stably on my previous goto stand, the iKlip Studio, so it was very nice to discover a new option. If you own one of these new jumbo tablets, especially those without a built-in kickstand, the 051 Stand is a must-buy. Given its size, separate stand and cable requirements, I wouldn't call the D13 a portable solution. However, it is thin enough to pack into a large laptop case along with its stand. If your ultrabook is thin enough, you may even be able to pack it alongside as well. Despite being a first generation product, UC Logic/Artisul have taken pains to provide a premium experience, from the packaging to the fit and finish. My biggest issue with the D13 is the tangle of cables required to hook it up. This is a drawback with the Cintiq as well, but the tangle is exacerbated by a power plug that requires an international adapter and then connects to the D13 via USB. Another USB cable runs from the device to your PC and an HDMI output from your computer feeds the D13's mini HDMI port. If your PC's ports are on the opposite side of your dominant hand, you'll be assured of a small rat's nest of wires snaking across your desk. Although I was able to run the Artisul while attached to my N-Trig equipped Sony VAIO Flip 15A, it's not ideal to attach it to a device with its own pen drivers, as conflicts are bound to occur, especially with Wintab software. However, I don't own any HDMI-equipped devices that aren't penabled. It would have been nice for Artisul to supply a VGA connector option so that compatibility with a wider range of PCs could be insured. Artisul Founding Designer and US Sales Manager Winnie Tso revealed recently that the company is working on a new generation device that they're calling the Artisul Pencil family which will feature an eraser end. According to Tso's post on TabletPCReview forum, eraser ends were a "competitor patent but has recently expired." At $599 + $46 for the stand, the Artisul D13 is an excellent value, but the $150 difference for the Wacom 13HD may not be enough to convince artists to break away from the better-known brand. If Artisul were to bundle the stand or lower the D13 price a bit more, the pen display would qualify as a Cintiq-killer. For now, it's yet another competitor chipping away at Wacom's dominance of the art market. NOTE: Educational pricing is available in the US, Canada and Mexico. Visit https://artisul.com/us/educational-pricing/ for more details.